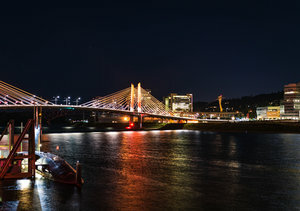 Our hotel near OMSI brings you closer to one of Portland’s most interesting and engaging attractions. Spend an afternoon browsing through some of the museum's exhibits that touch on science, technology, and history. 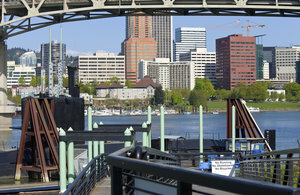 Our hotel near OMSI is a quick 7-minute drive (1.5 miles) away! Driving: When exiting the hotel, make a right onto SW 11th Ave, turning right on SW Alder St. Follow this road as it turns into the Morrison Bridge, making a right on SE Water Ave for about 0.1 mile before reaching your destination. Transit: Walk a quick 7 minutes to the SW 5th & Oak MAX Station and hop on the orange line for 7 stops to reach OMSI. The Oregon Museum for Science and Industry was originally created in 1986 to showcase the natural wonders of the state. 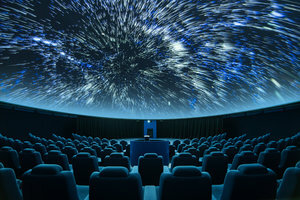 As this tiny City Hall Museum began to pick up interest within the community, local businessman Ralph Lloyd began hosting the new Oregon Museum of Science and Industry in his house, opening up the Northwest’s first planetarium. After several expansions and updates, OMSI is now ranked one of the top science centers in the United States. 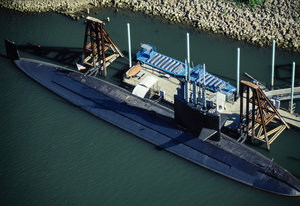 Visitors can explore exhibitions like the USS Blueback Submarine, the last non-nuclear submarine built by the U.S. Navy, a NASA supported planetarium, along with hands-on activities where guests can build their own structural solutions to real-world problems. Check out our list of important visitor information when planning your trip to OMSI! Parking at OMSI is a flat rate of $5. The museum is open daily from Tuesday – Sunday, 9:30 AM to 5:30 PM. Special exhibits may have different operation hours, so make sure to double check their hours of operation before heading into the museum. Save time in the line and book your tickets online! The perfect attraction for families visiting with kids, book your stay at our hotel near OMSI today!